We are more than thrilled to have Ajahn Brahm teach his first ever 8-day silent retreat in the UK this winter! This is likely a once in a lifetime chance, to receive closer guidance from a trusted meditation master, revered for his penetrating, humorous wisdom; palpable compassion and peace. Together in silence, we will learn how to allow the natural process towards jhanas and enlightenment to unfold, as we let go into stillness and bliss! 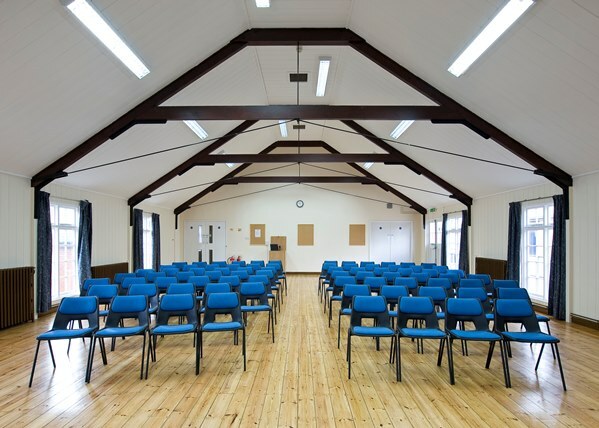 The retreat will take place in the superb, tranquil Belsey Bridge Conference Centre on the Norfolk & Suffolk border. The venue, set in twenty acres of beautiful grounds, is designed to support silent meditation, and there is plenty of peaceful surrounding countryside to explore. 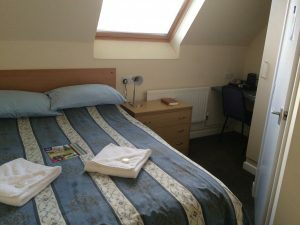 With a group of eighty people, we will have sole use of the centre, which allows everybody to have their very own room! Indoor facilities include three large meditation halls, spacious dining and common areas and clean, comfortable bedrooms. And, as if that wasn’t enough, Belsey Bridge is well known for the excellent quality of it’s locally-sourced food! Ajahn Brahm has a relaxed approach to meditation, to allow for finding finding your own pace and delight in practice. Below is rough schedule to give an idea of what you can expect, including talks, guided meditations, sutta classes, Q&A and group interviews with Ajahn Brahm. Ample time will be available for relaxing and walking in the countryside, or in the specially designated ‘walking meditation hall’, as per your ease. 8.15- 9.30 pm: Anonymous Q&A From The Box! 11 am: Noble Silence Lifts! 82 bedrooms are spread across 2 floors and one wing is specially designed for disabled access. There are a total of 8 wings, with 6 kitchenettes (containing a fridge, kettle and a selection of tea) shared across them. The rooms comprise 32 standard rooms (with shared bathroom) and 50 en-suite rooms (with attached bathroom). Throughout the building there are ample shower blocks and toilet facilities, which are cleaned daily, and 3 common bath tubs to soothe aching muscles or just have relaxing soak. 26 rooms are on the on ground floor. There are 2 disabled access bathroom/toilets, and 1 further disabled access toilet. Four standard rooms are close to disabled facilities and 2 en-suite rooms have disabled access bathrooms. Two wheelchairs are also available for use and there is a wheelchair lift to the main hall, which is down a few stairs. Please let us know if you require disabled facilities or a ground floor room and we will do our best to meet your needs. The majestic Norfolk Hall will be used as our main meditation room. This is a large carpeted room with comfortably padded chairs, floor to ceiling windows, and gas heaters which glow with a red hue! The wooden-floored Suffolk Hall is available exclusively for indoor walking meditation and the Wavney Hall might be used for the afternoon sutta class. Four smaller halls, two lounges and several additional common rooms provide ample space for group interviews and relaxing in solitude. 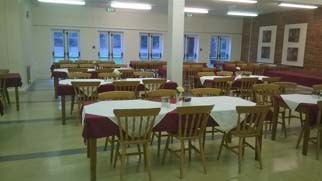 The dining hall is spacious and opens directly onto grounds. There you will find tea, coffee and hot chocolate on tap, 24 hours a day. There is no access to the kitchen, as food is prepared and plates are washed by the staff. Suffolk Hall – chairs will be removed for walking meditation. Dining Room (above) and an example of one of the single occupancy en-suite bedrooms (right). Food will be simple vegetarian with a vegan option. Coffee, hot chocolate and a variety of tea is available around the clock. During this retreat we will abstain from eating in the evening to support the deepening of meditation. Please therefore note that only breakfast and lunch will be provided. If you require food in the evening for medical purposes, please ensure that you bring along simple snacks that are easy to store in your room, or in the common fridges/kitchenettes (such as flapjacks, cereals, instant noodles or cheese), as there is no cooking facility available. £490 for a single occupancy standard room. £550 for a single occupancy en-suite room. All rooms are allocated at our discretion, with consideration given to health and age. In order to support stillness and investigation of ones own inner world, family members, friends and couples will not be able to share a room. Please note that these prices cover the cost of food and lodgings only. Nothing is taken for the priceless teachings of the Dhamma. 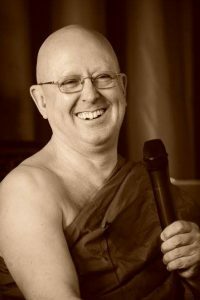 Ajahn Brahm is kindly coming all the way from Perth to help us establish a bhikkhuni (nun’s) monastery in England so there will be an opportunity to donate at the end of the retreat. Important! You need to type Belsey Bridge Conference Centre on Google Maps, rather than rely solely on the postcode as it will bring you to the wrong location! The closest airport is Norwich, which is 40 minutes away. The nearest train station is Norwich Train Station. The bus station is Norwich City Centre. There is a frequent train service from London Liverpool Street to Norwich station which takes around 2-3 hours on a Sunday, depending on the time of day. Advance tickets are likely to be much cheaper than tickets on the day, and it is usually possible to buy these around two months in advance. From Norwich Train Station, the easiest way to reach Belsey Bridge is by taxi. It takes about 30 mins and costs around £24. Alternatively, you can take bus no.7 then bus 88 (please see the Belsey Bridge website). By bus, it takes 2 hours 15 minutes from London Stratford International (Bus Station). Stratford is easy to reach via the London Underground on the Central Line. From Stratford to Norwich City Centre, costs are as low as £7 one-way but you must book early. From Norwich City Centre you can take bus 87 to Bungay for 49 minutes and stop at Drapers Lane. From there it is a 13 minute walk to the Belsey Bridge Conference Centre. Please always check the bus company website in case of schedule changes. Five Star Taxis (01603 455 5555) normally charge around £24 from Norwich Train Station, or £32 from Norwich Airport, to the Conference Centre. We will be posting a lift-share document nearer the time to help you coordinate your travel with other retreatants in case you wish to share a taxi or car ride. The quickest way to The Belsey Bridge is by car, since you don’t need to go to Norwich first. For more further information on getting to the retreat by car or bus, please go the Belsey Bridge website here. Note: Please do not contact the Belsey Bridge Conference Centre directly as the staff only have the capacity to liaise with Anukampa’s booking’s team. 3. In most cases, we will approve your application within a day or two. Once your application is approved, you will be required to settle the full payment within a week to secure your place. This payment is refundable minus £150 until 1st September 2018. Please note that from 1st September no refund will be given, unless someone on our waiting list is able to take your place. If your ticket can be taken by someone else, you will be refunded minus £150. Whilst we will make every effort to offer your ticket on, this cannot be guaranteed. We have currently stopped taking waiting list applications as we already have 43 people on our waiting list.